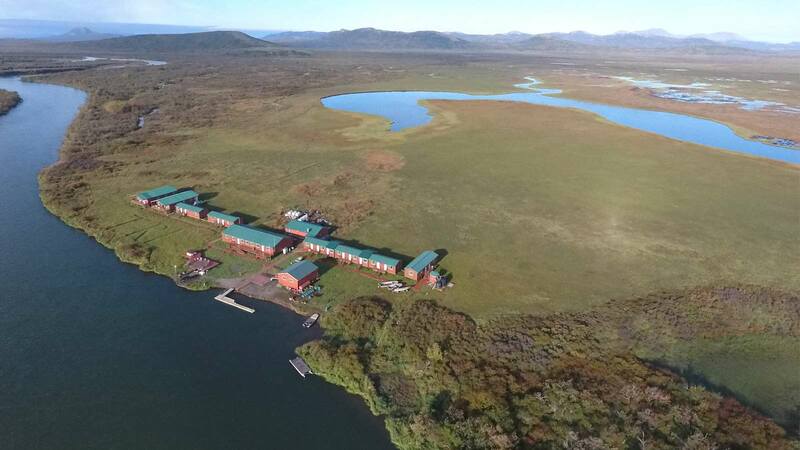 Togiak River Lodge is located six miles upriver from Togiak Bay and the Eskimo village of Togiak, Alaska. 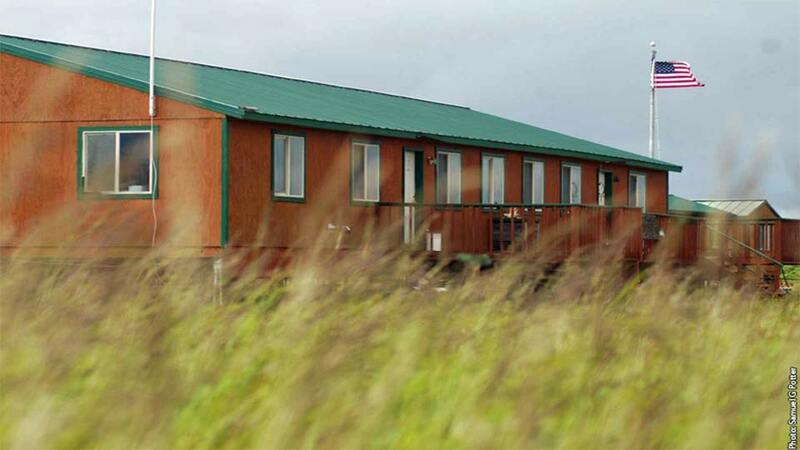 The Lodge sits adjacent to the four-million-acre Togiak National Wildlife Refuge in the world-famous Bristol Bay region. 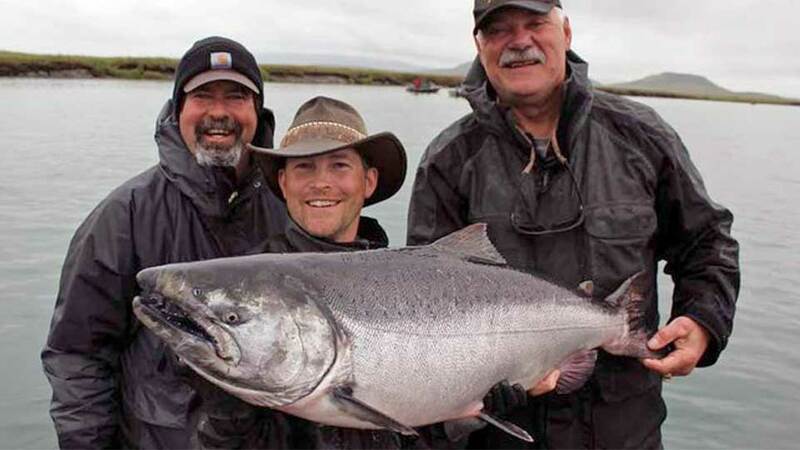 Situated only six miles from saltwater, the Lodge is entry to the outstanding spawning grounds for all five species of Alaskan Pacific salmon. Fish arrive power-charged, chrome bright, fresh out of the ocean. 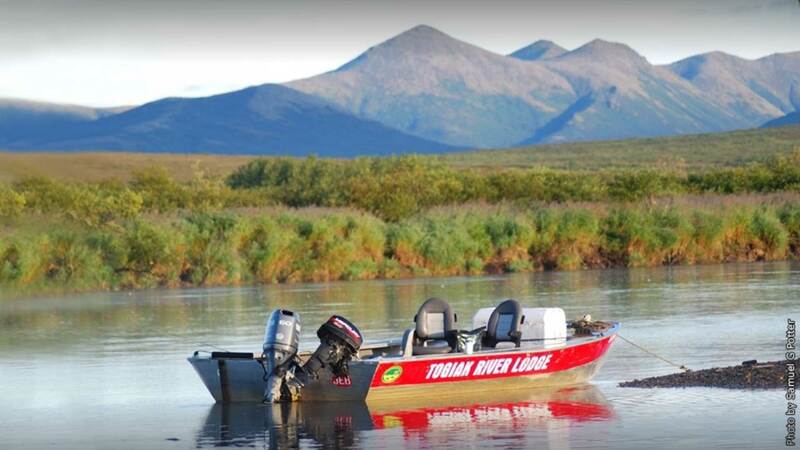 Togiak River Lodge is the only established lodge on the first 20 miles of the river, and while a few other outfitters fly out to the river for day trips, fishing pressure is minimal. 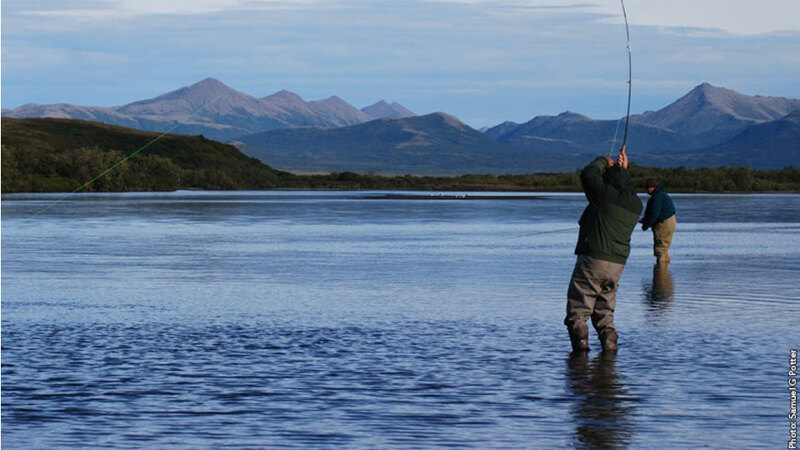 In the Togiak's clear waters, anglers target king, coho, sockeye, chum, and pink salmon, as well as trophy-sized native rainbow trout, Arctic char, grayling, and dolly varden. The Togiak River is also an ideal fly fishing river. 2018 Limits (subject to change): The daily freshwater limit of kings is two adult king salmon per day, only one of which may be 28 inches or longer. The annual limit is five adult kings over 20 inches. 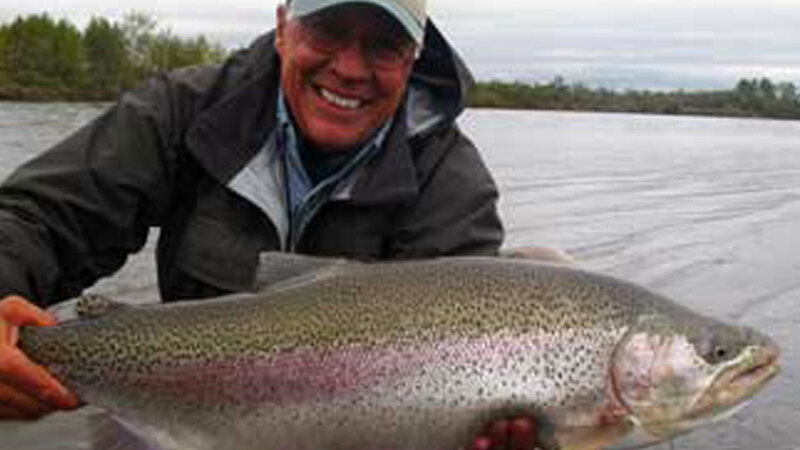 The Lodge encourages anglers to keep only the fish that are over 28 inches. Rainbow Trout: The Lodge practices catch-and-release on all rainbow trout to ensure a healthy fishery and to provide opportunities for rainbows up to 10+ pounds. There are not big numbers of rainbows, but they do have some large ones on the Togiak. You should not book a trip specifically for rainbows. See our Togiak River Video. Eric Schoenborn landed his 55-pound king (a little dark) while back-bouncing eggs, one of the many methods employed here. 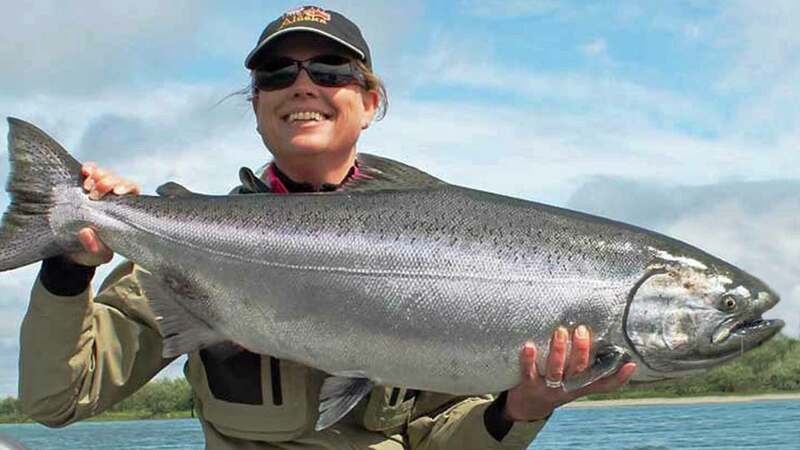 King salmon runs begin in May, pouring into the river in mid-June, with excellent fishing through late July with fish weighing up to 55+ pounds. The silvers enter the river in early August, and fishing is great until mid-September. 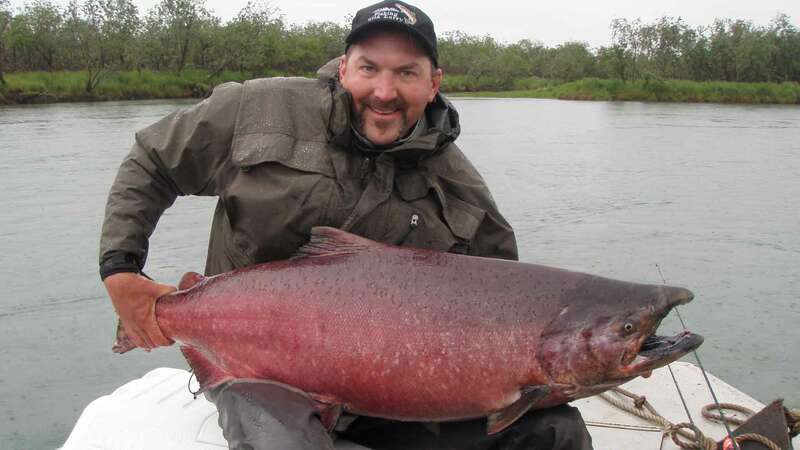 Togiak silvers are reportedly the largest in Alaska’s freshwater, averaging 8-to 14-pounds, with fish up to 20 pounds. During king salmon season, 20 to 40 or more salmon per boat is a daily average. 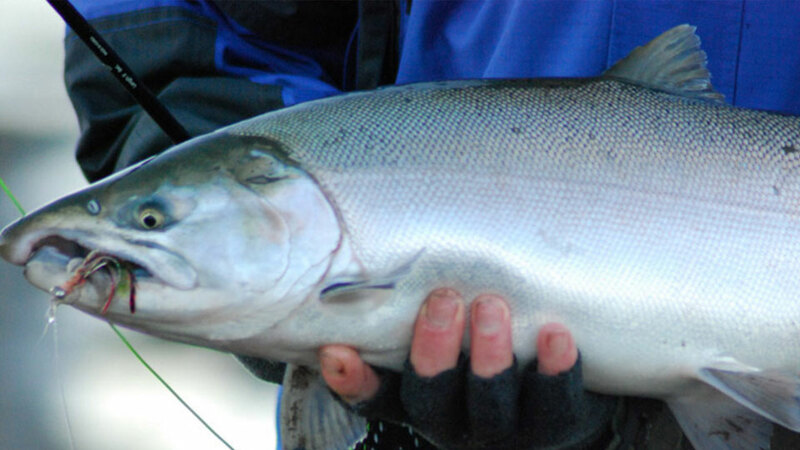 Silver salmon season provides anglers with even more action. 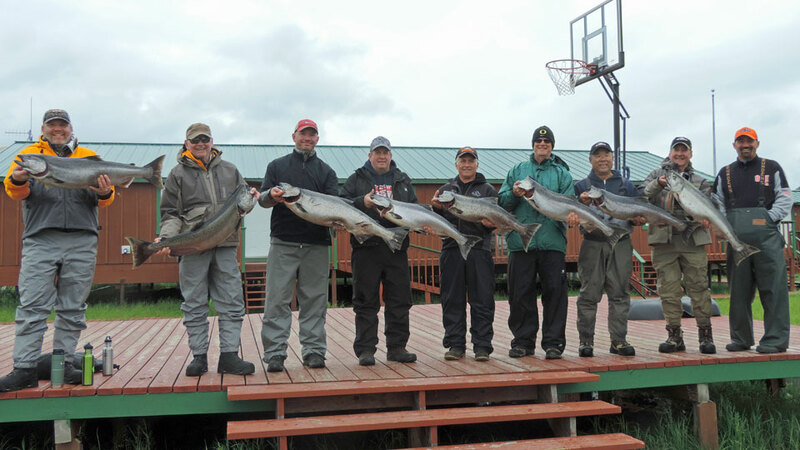 More than half of Togiak's guests, visit to fly fish for silvers. Boats: 18 and 20-foot flat-bottom aluminum boats that are fully open for maximum fishing room. Mercury motors range from 60 HP to 150 HP. Comfortable, top-of-the-line Tempress boat seats. Two to four anglers per guide and boat. Guides: Hardworking, experienced guides are proficient in both fly and spin angling, backtrolling, bobber fishing, all the methods used on the Togiak. Equipment: All fly and spin tackle is included. Please, let us know if you'll be fly fishing and using their equipment. Togiak River Lodge sits on the banks of its namesake river. The main lodge overlooks the river and has a roomy lounge with a 40” screen satellite TV and free Wi-Fi, free cell phone coverage (Alaska plan), dining room, kitchen, laundry room, gift shop, hot tub, and sauna. They also have a drying facility for equipment, where your waders, raingear, and clothing can be dried overnight. 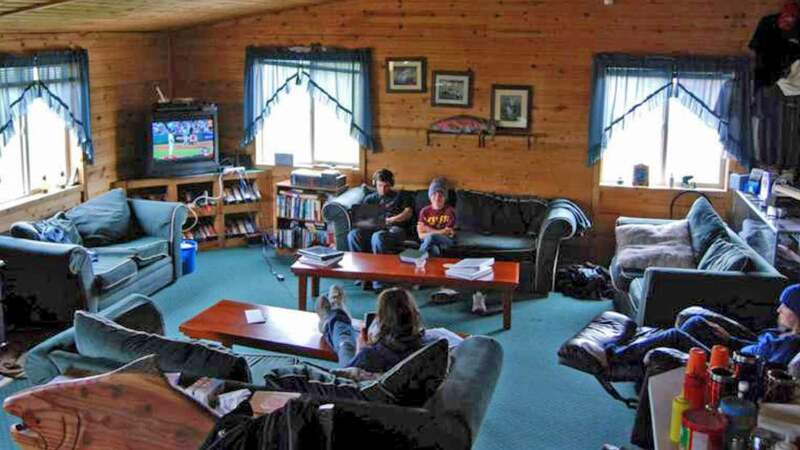 Lodge Capacity: The Lodge comfortably accommodates up to twenty people. If a larger group wants to book the entire lodge, they can accommodate as many as 27-guests. One cabin is handicapped accessible. Please call us for availability. 1-800-205-3474. Meals: Breakfast is cooked to order. 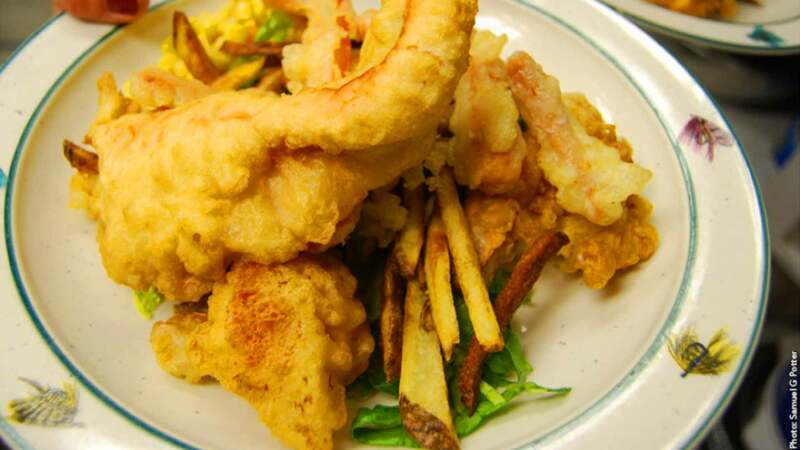 Lunch is enjoyed back at the Lodge or during silver season, and upon request, guides can prepare a shore lunch. Four-course dinners. 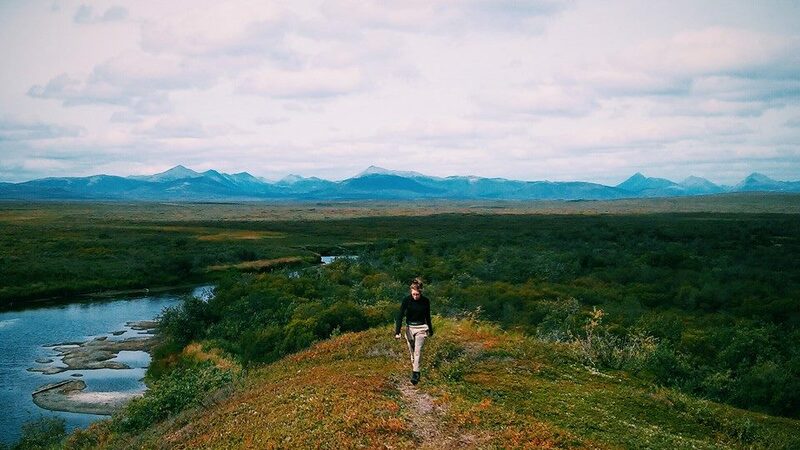 You'll fly to Anchorage and take a charter flight to Togiak. (The charter flight is approx. $900.00 roundtrip and not included in the package.) The Lodge staff will pick you up at the Togiak Airport, and you'll take a five mile boat ride to the Lodge. You’ll stay in one of ten, private, heated cabins. Two to four guests per cabin. 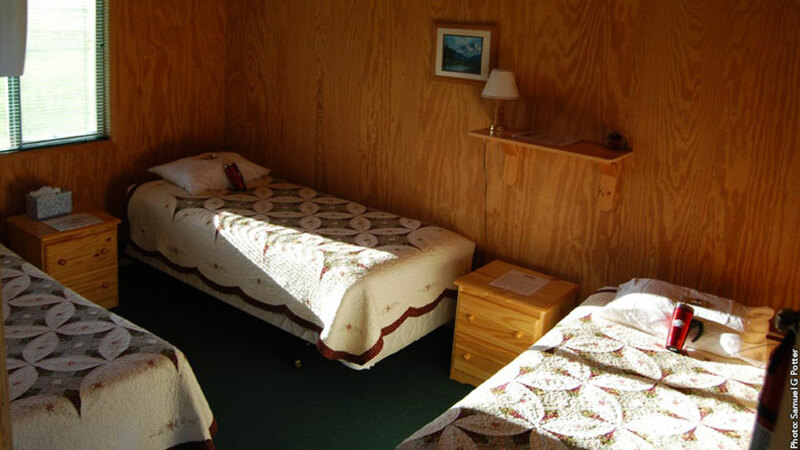 The cabins are clean, comfortable and furnished with two to four twin beds, a bathroom, hot shower, and fresh linens. Daily housekeeping is provided. The cabins sit adjacent to the Lodge and overlook the river. Lodging, meals and snacks, guided fly or spin fishing, use of fly or spin rods, reels, tackle, bait, and flies (within reason); vacuum packaged fish care; daily housekeeping, and Wi-Fi in the main lodge. Airfare to and from Togiak, fishing license, gratuities for guides and lodge staff, and anything not mentioned under inclusions. 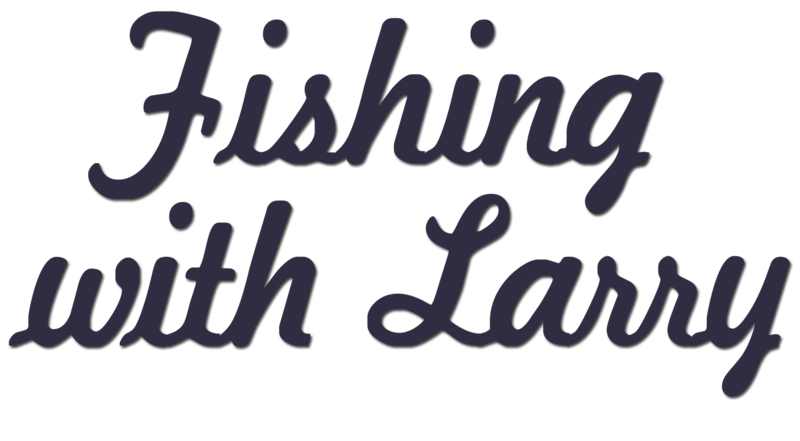 Your catch is cleaned, wrapped in commercial-weight plastic wrap to preserve freshness, vacuum packed, and frozen as soon as they get off the boats. Time permitting, the Lodge owner will smoke some of your catch. Fish are packed in waxed fish boxes. Most anglers take home a 50-pound box of fillets. Two to four anglers per guide and boat. 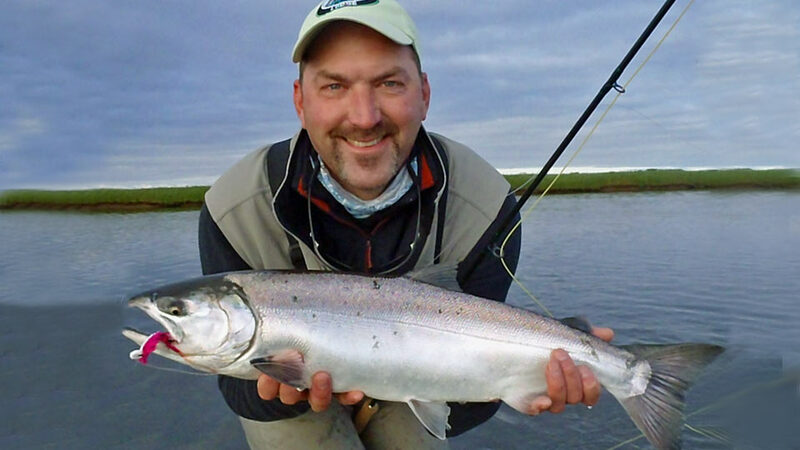 Eric Schoenborn with Togiak silver. After dinner... movie, hike, sauna, or hot tub. There are ten, private heated cabins.